Where are VR & AR having the biggest impacts on enterprise? 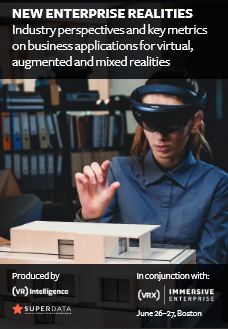 We’ve produced a white paper in partnership with SuperData looking at how different enterprises are using immersive tech and where the primary investments are being made. Where are VR developers seeing the most demand for their services – which industries, which applications? In addition to the data-led white paper, we’ll also give you full access to a video from the recent VRX conference in San Francisco. This discussion features business leaders from Intel, Unreal Engine, Stanford University and more on where the biggest use cases are arising for VR & AR across enterprise. Please let me know if you have any feedback – I’d be interested to hear your thoughts.